Sony Interactive Entertainment has announced that a Limited Edition Destiny 2 Glacier White PlayStation 4 Pro Bundle is launching on September 6 in North America and Europe, priced at $449.99 USD/$549.99 CAN. With the Glacier White PS4 Pro bundle, you’ll find a 1TB PS4 Pro, matching DualShock 4, and a physical copy of Destiny 2. Since it’s the Limited Edition of Destiny 2, you’ll also receive the Expansion Pass and premium digital content. 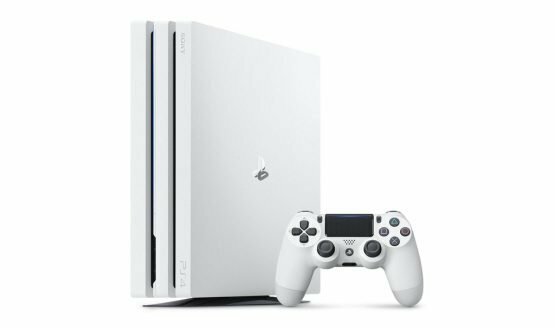 Pre-orders for the Glacier White PS4 Pro Bundle start today in North America. Sony didn’t offer pricing/pre-order details for Europe. Destiny 2 releases on September 6, and the Beta will begin on July 18 for those who pre-order. Everyone else will get access beginning on July 21.